Extra strong aluminium with 4-layer non-stick coating. Easy to clean grey lacquer exterior. Handle attached with 3 rivets (except blini pan which has 2 rivets). 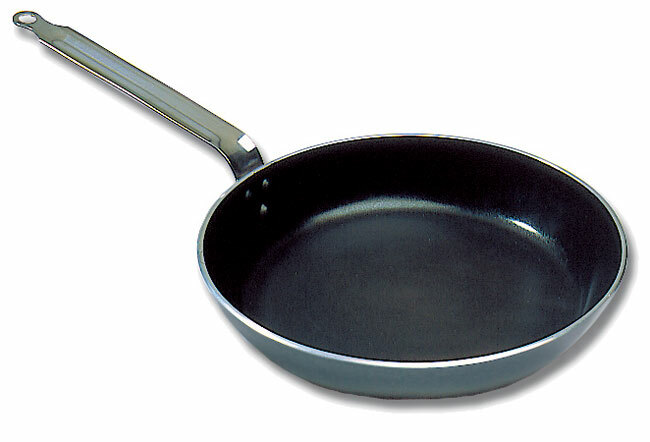 The coatings of all our non-stick pans are guaranteed PFOA-free. These pans can be used on all hobs except induction. 7 7/8”, 1 1/2”, 1. 9 3/8”, 1 1/2”, 1 3/8. 11”, 1 3/4”, 2 1/8. 14 1/4”, 2”, 4 1/4. 15 3/4”, 2”, 5 5/16.